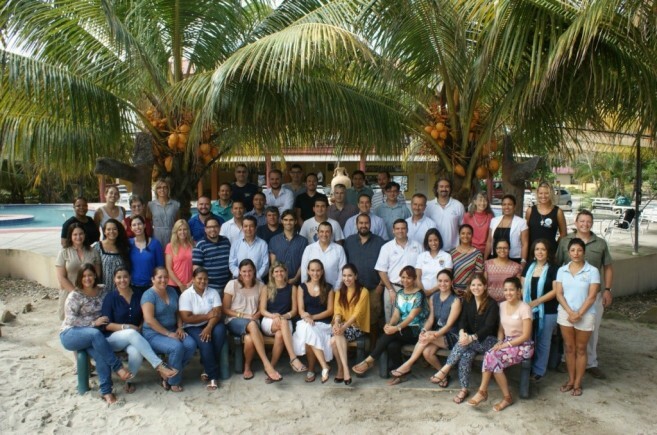 In October 2014 a meeting was held in Tela, Honduras to develop the 2015 Mesoamerican Reef Report Card. Over 60 marine conservationists from Mexico, Belize, Guatemala and Honduras participated in the meeting which was hosted by the Healthy Reefs for Health People Initiative (HRI). The purpose of the meeting was for information to be shared as it relates to the reef. Regional experts and resource managers shared data on conservation achievements, and identified strategies to be implemented over the next two years for the conservation of the reef. According to HRI Belize Coordinator, Roberto Pott, the meeting highlighted the importance of protecting the reef and the impact that the past year’s activities has had on it. In addition, strategies were suggested to reduce the deterioration of the reef in the short term. “A highlight of the meeting involved the partners working together to identify and prioritize concrete, measurable actions achievable over the next two years that will help reduce the most significant threats impacting the region. Examples include encouraging the implementation of region-wide regulations to protect parrot fish, as successfully done by Belize in 2009,” explained Pott in a press release. During the meeting, participants presented regional data on the state of certain segments of the reef. While the health of the reef has been falling, it is still not too late to take certain measures to improve the reef’s health. The Mesoamerican Reef plays a vital role in the economy of the regional countries as it is a major tourist attraction. But the over-use of the reef can have devastating effects. 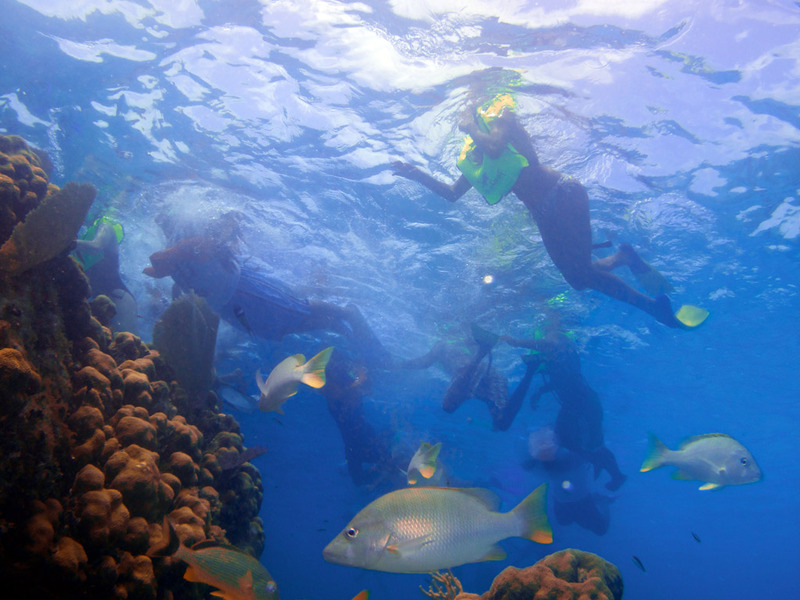 Activities such as dropping anchors recklessly, pollution, and over fishing result in damage to the reef. “This meeting is only one of a few that HRI has. HRI partners have been collecting and sharing standardized coral reef monitoring data for the past decade, and previously produced three Report Cards on ecosystem health and two Eco-Audits of management effectiveness and success. They teamed up again this past summer to systematically measure the health of more than 200 coral reef sites across 1,000 km of the four countries in the Mesoamerican Region (MAR). HRI partners reviewed and used this data as the scientific foundation for drafting the 2015 Mesoamerican Reef Report Card. Data collected through these shared studies are truly valuable, they are relevant, repeatable, comparable, and like the oceans, they are trans-boundary in scope,” said Pott. Present at the meeting were members of the Belize Audubon Society, Blue Ventures, Southern Environmental Association, Toledo Institute for Development and Environment, the Environmental Resource Institute, World Wildlife Fund, among other international conservationists. The 2015 Mesoamerican Reef Report Card is scheduled to be released in the early months of 2015. The Report Card will highlight the current state of the reef as it is an annual physical assessment of the reef’s health. For more information on this initiative visit www.healthyreefs.org or contact Melanie McField, Director of Healthy Reefs Initiative, at email [email protected] For regional assistance, contact Roberto Pott at email [email protected]yreefs.org or phone number 610-4899/223-4898.